S.S.A. College of Arts and Science, Thekkur Tamilnadu advertised in Dinamalar Epaper for Faculty jobs 2019 – Professor Jobs . For More Details see below. College Profile: Singai Sithar Ayya College of Arts and Science, Affiliated to Alagappa University. 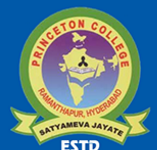 Our college is situated in the rural and socio-economical back ward region. The main objective of our Institution is to increase the graduates hailing from economically backward area and to make the needs of the students’ community by providing leadership quality and participation in academic and cultural event with the spearheaded leadership of the Chairman Ln. R.Chandrasekar M.B.A, Correspondent Ln.T.Senthil Kumar M.Com.,and principal Dr.A.Hemamalini M.B.A., M.L.M., M.Phil., Ph.D., SET., Our College leaves no stone unturned towards the accomplishment of the aforesaid objective since 2013.